With all eyes focused on March 29th (or should that now be April 12th?!) it’s perhaps easy to forget another important deadline on the horizon – the arrival of ULEZ (Ultra Low Emission Zone). From Monday April 8th 2019, ULEZ will operate in the current Congestion Charge Zone and replace the current T-charge. Simply put, ULEZ is a newer and stricter form of the current congestion charge. Unlike the congestion charge, ULEZ will operate as a daily charge, which will be active 24 hours a day, 7 days a week. From 25 October 2021, it will expand to an area bounded by the north and south circular roads. ULEZ will also see a greater selection of vehicles charged for entering the prohibited zone. Those that don’t meet the new guidelines will be charged £12.50 every day they drive in this new area, as well as the usual £11.50 congestion charge if they enter the city centre between Monday and Friday, 7am to 6pm. Failure to pay when required will result in a £160 fine. Meanwhile, lorries entering this area will need to pay £100 a day or risk a £1000 fine. Broadly speaking, if you own a petrol vehicle that was made after the year 2006, or a diesel car built after 2015, you won’t be expected to pay. However it’s a good idea to use TfL’s free vehicle checker tool to make absolutely sure. You can find the vehicle checker here. 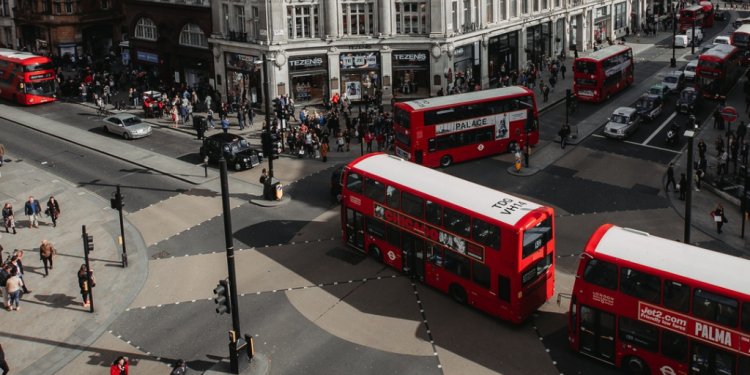 ULEZ is the Mayor’s reaction to London’s worsening air quality, which can have especially damaging effects on the most vulnerable citizens, including older Londoners. Around half of emissions of nitrogen oxides (NOx) – these contribute to illegal levels of nitrogen dioxide (NO2) – and particulate matter (PM) come from transport. Such pollutants can worsen chronic illnesses and shorten life expectancy as well as damaging lung development in children. London-licensed taxis are also exempt from ULEZ – they are subject to a 15-year age limit and new emissions standards have already been introduced for them. However, it’s worth noting that from 1 January 2018, all newly licensed taxis must be capable of producing zero emissions. There are a number of different exemptions though, so it’s worth checking the full list here. How can I find out more about ULEZ? The best place to go for all the latest information on ULEZ is the Transport for London website. Here you’ll find all the information on why ULEZ is being put in place, what exemptions are available and how to check if your vehicle complies with the latest regulations. …and remember the date – Monday 8th April 2019!